I had a similar problem with mine years ago, and increased the number of days I added Reptivate suppliment to his diet. Within a week of adding it daily he was back to normal. Hope this helps. Is your Tortoise warm enough, and do you soak him at least twice a week for 20 minutes or more. I thin you should contact a vet asap. 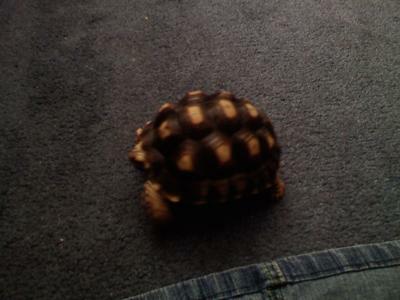 Your Tortoise sounds like he is sick and needs some professional care. Good Luck...hope he's better soon.